ItemG-03892 - "Vancouver BC, looking east from English Bay." ItemG-03959 - RCAF station at Coal Harbour. ItemG-01218 - Boatyard Of J.J. Robinson, Victoria, Showing Hull, Length 41 Feet. ItemG-01219 - Boatyard Of J.J. Robinson, Victoria, Rowboat. ItemG-01222 - Cominco Coarse Crushing Plant, Kimberley. ItemG-00703 - Sandon; rebuilding after the fire of 4 May 1900. ItemG-00704 - Members of the provincial legislature on the steps of the buildings, McBride; government Sir McBride front row, second from left; R.G. Tatlow front row, second from right. ItemG-00714 - "Officers and Teachers, Metropolitan Methodist Sunday School, Victoria, BC, March 1905." 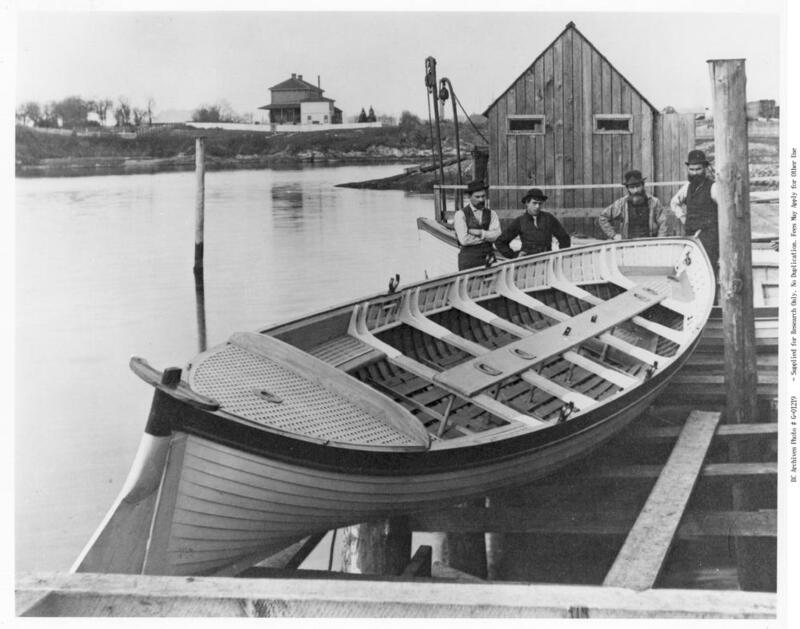 Item G-01219 - Boatyard Of J.J. Robinson, Victoria, Rowboat. Boatyard Of J.J. Robinson, Victoria, Rowboat.